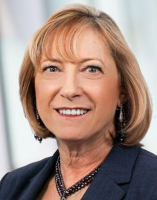 Helane Becker joined Cowen in 2013 as part of the acquisition of Dahlman Rose. Ms. Becker is a managing director and senior research analyst who covers airlines, air freight, and aircraft and container leasing. She has more than 30 years of experience on Wall Street, holding positions within the research, trading, and investment banking departments of several broker/dealers including the former Citi, Lehman Brothers, and Smith Barney. She has been frequently ranked as the #1, 2, or 3 analyst by Institutional Investor magazine, as well as in the top 5 analysts by The Wall Street Journal. Ms. Becker is currently ranked #1 in three StarMine analyst categories. She holds a bachelor's degree from Montclair State University and a master's of business administration from New York University. She is a member of the international honor society, Beta Gamma Sigma, and is currently on the U.S. Department of Commerce's Travel and Tourism Advisory Board as well as on the Advisory Board of the Feliciano School of Business at Montclair State.